Last week I was at a meeting at Writing West Midlands. I was asked to explain blog tours because some of the people present weren’t familiar with them. I’m quite sure I didn’t do the subject full justice, so I thought I’d write a brief blog about the experiences that I’ve had with them. A blog tour is a virtual tour that your book goes on, and each stop on the tour is hosted by a book blogger. When you organise a blog tour you decide how long it’s going to be, perhaps a week, and then you try to find bloggers who will mention, review, or host some content about your book on their site. They are used by independent publishers, small presses and traditional publishers. There is usually a banner which is the equivalent of a flyer or a poster that you might see for a real-life tour. It lists all of the stops and the dates for your blog tour and has the artwork of your book cover built into it. It is possible to organise your own blog tour if you’re in touch with lots of book bloggers. Otherwise, you might ask a blog tour organiser to do this for you. They will normally charge you a nominal fee, and some will include the design of the banner in the price. I’ve just booked a blog tour for an upcoming release. 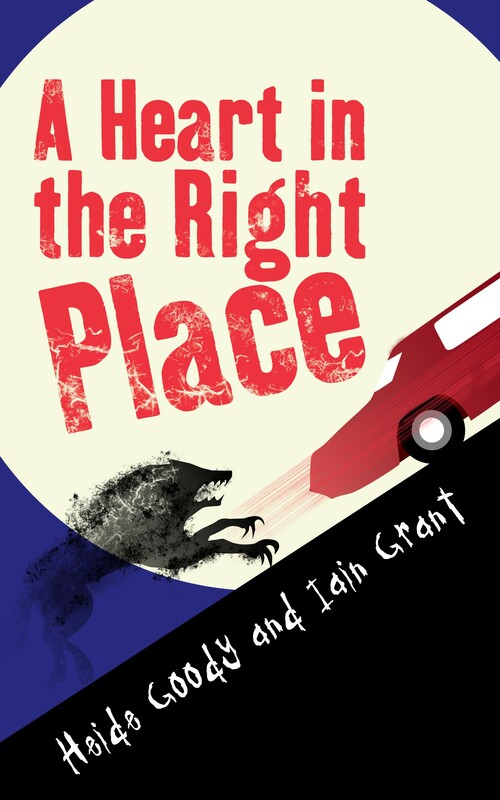 The book is called A Heart in the Right Place, and the blog tour will take place in January. Rachel Gilbey of Rachel’s Random Resources is the organiser who has filled the tour spaces for this book. We’ve also been lucky enough to enough to have a tour organised for us by Tracy Fenton of Compulsive Readers. For this latest blog tour, I sent Rachel the cover and description of the book, the sort of content that we are prepared to write for people’s blogs, and the number of paperback copies that we can provide. Rachel then contacted lots of bloggers and the tour soon filled up. We have 25 bloggers taking part and 17 of them will review the book, which is wonderful. Sometimes bloggers might like to include an extract from the book, sometimes we might write them a brief article that relates to the content of the book or the way that we went about writing it. Sometimes it’s just the review, but there is always fresh content for anyone who drops in on various blog tour stops. So what are the benefits of having a blog tour? It’s a concentrated burst of activity on social media that features your book. The blogging community are an amazingly friendly and cooperative bunch, and they all share each other’s posts so you can be sure that lots of people will see your book over the course of the tour. It really raises the profile of your book and of course lots of people will become familiar with the cover because it will appear on social media multiple times. Bloggers and blog tour organisers are the rock-star influencers of the online book-buying world and their impact cannot be underestimated. In the meeting where this came up were several small poetry presses, and the question arose of whether poetry books ever went on blog tours. I asked Rachel on Twitter and she said that she’d seen Anne Cater of Random Things Through My Letterbox do blog tours for poetry books so the answer is yes. If anyone is reading this and wonders whether they ought to try a blog tour for their book then I would urge them to give it a go. It’s generally the case that you’d organise a blog tour for a new book, but they are equally useful for a relaunch or to boost sales of an existing book.